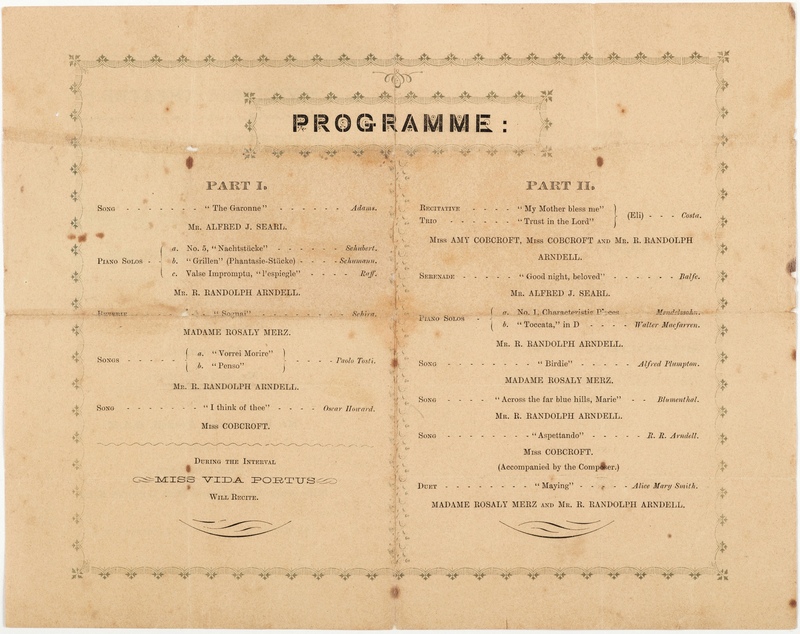 Concert programs - New South Wales - Maitland. Printed by T. Dimmock, Maitland. 1 sheet ; 21 x 26 cm. 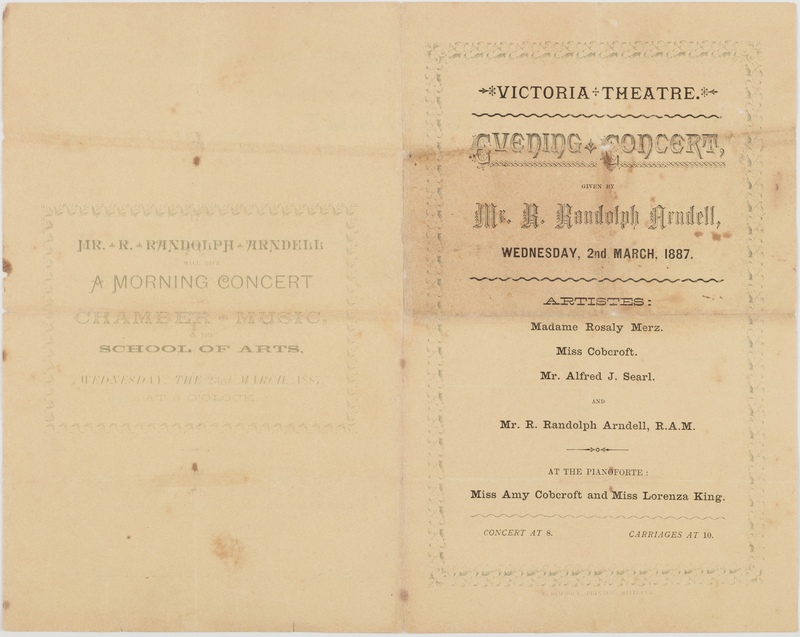 'Artistes' featured include: R. Randolph Arndell, Madame Rosaly Merz, Miss Fanny Cobcroft, Alfred J. Searl, Miss Amy Cobcroft, Miss Lorenza King, Miss Vida Portus.